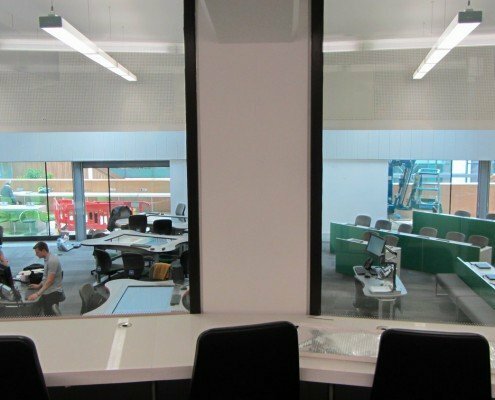 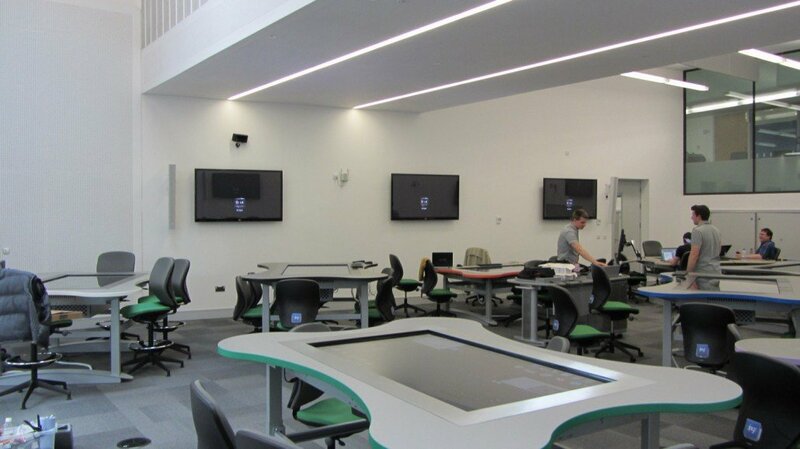 The Forum at the University of Exeter is an exciting student hub, providing a range of facilities from retail and catering outlets to the library and the innovative exploration labs. 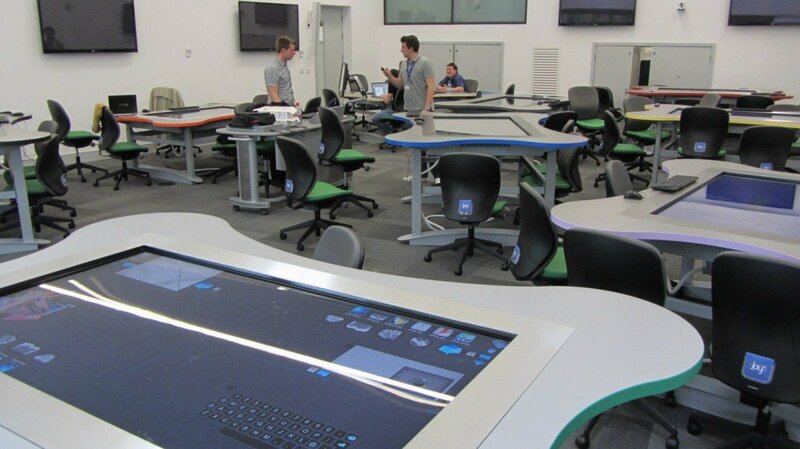 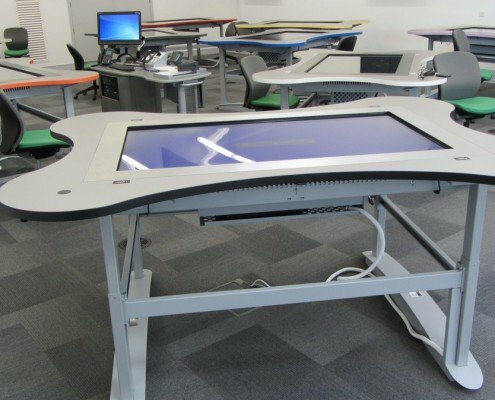 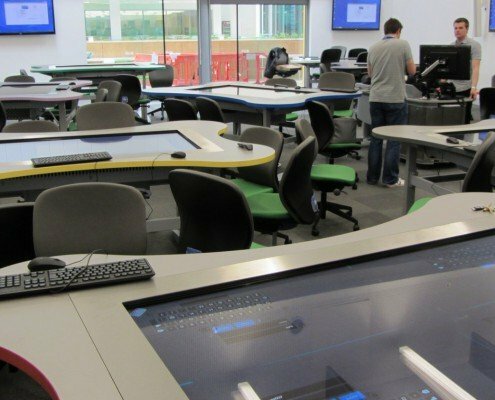 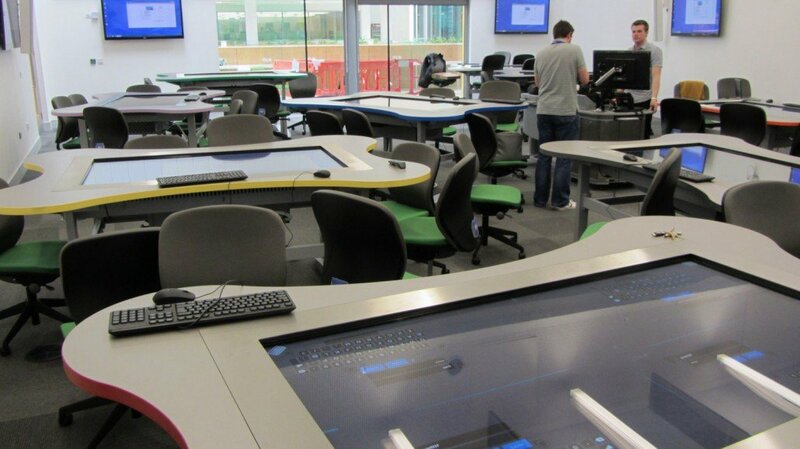 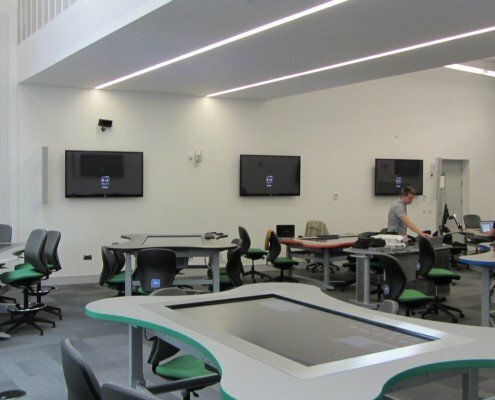 The exploration labs include a 400 seat auditorium and 10 custom designed and built Promultis 65” multitouch tables featuring remote controlled height adjustability. 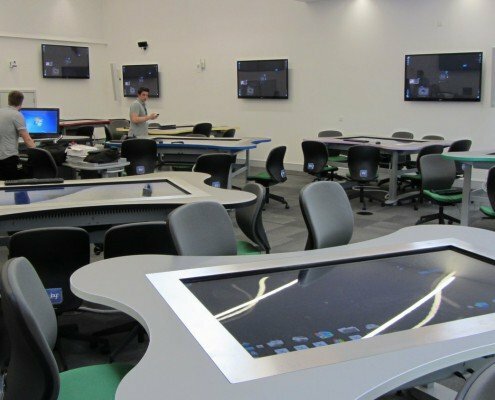 With their unique “butterfly” shaped surface, the tables have been designed specifically to encourage group-based work and collaboration. 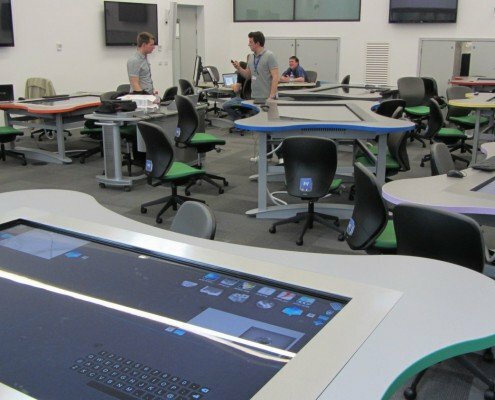 The tables are interconnected via cutting edge custom software, which enables work to be passed between tables via an intuitive and unique colour coded system. 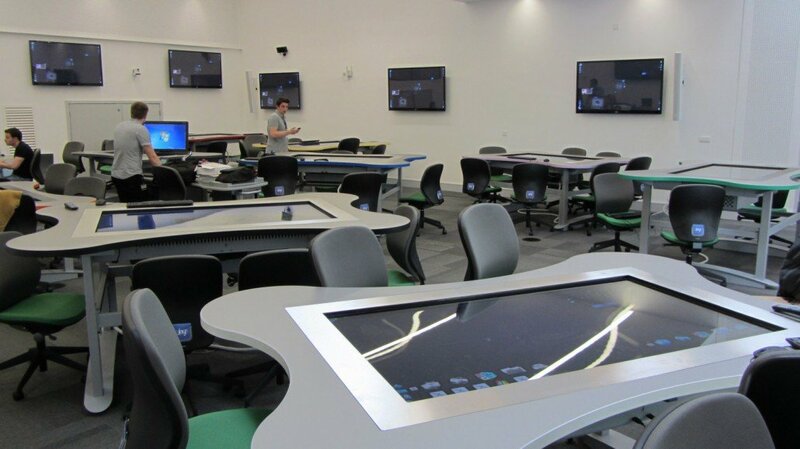 Each table has a different coloured surround, within the desktop interface is a ring for each of the available colours. 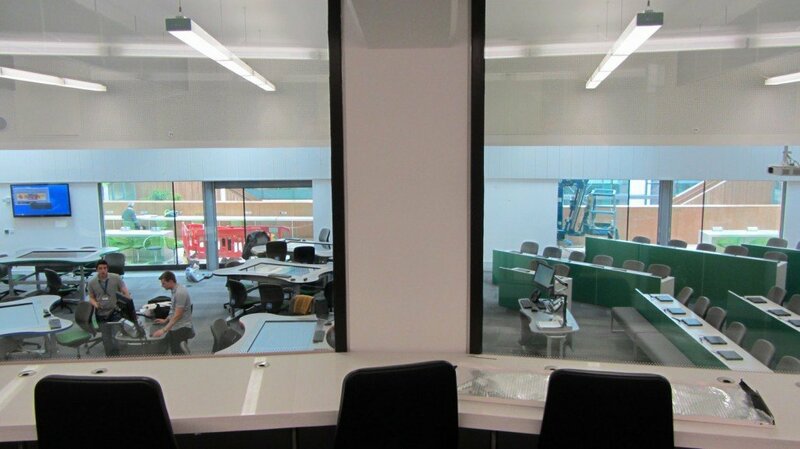 Information and work can be simply dragged and dropped into the coloured ring, which will then appear on the corresponding table.